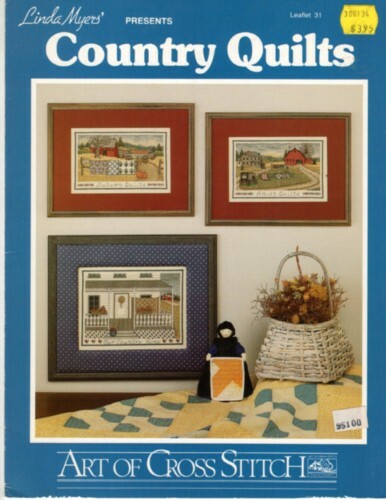 Art of Cross Stitch Country Quilts Linda Myers counted cross stitch leaflet. Autumn Quilts, Amish Quilts Our Country Home. Some very minor shelf wear along edges. Price tag on cover.